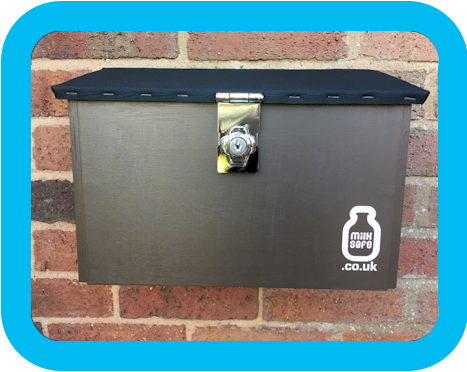 Keep your milk deliveries safe in a Milksafe. 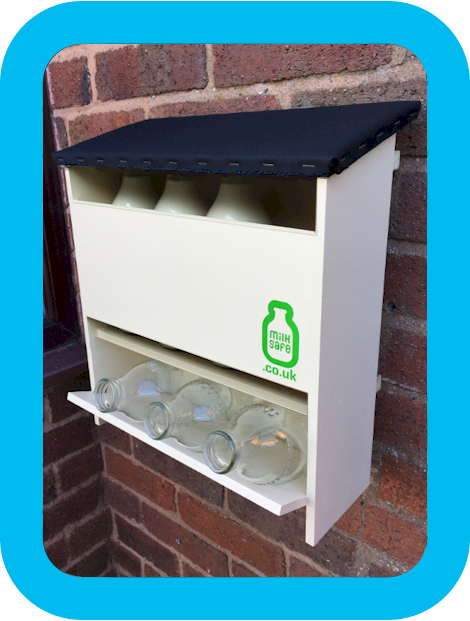 A Milksafe is a purpose made milk bottle holder to protect and guard against cats, birds, frost and the heat of the summer sun. A proper box does all that, compared to a simple basket or wire bottle holder. Think box, not basket or wire holder. Milksafes are a convenient store for milk bottles, when they are either full or empty. Milksafes hold 2, 4 (standard size) or 8 glass bottles or cartons. Some are made for plastic milk bottles. We have a selection of sizes available to order now*. Other sizes can be made to order – please ask. 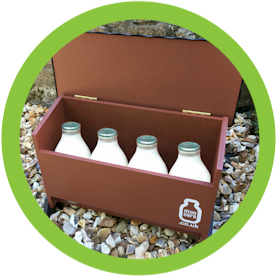 We manufacture lockable and wall hung Milksafes and have also introduced our Milkman Friendly version: a box for the milk, and a shelf for the empties. Your Milkman can then put the bottles in the box and grab the empties, all in one smooth motion. The "feet" are made from 9mm thick recycled plastic, truly robust and rot resistant. Larger sizes are available: if you don't find a size to suit your needs please ask. N.B. The inside of your Milksafe will also be treated. Photos show treated models. 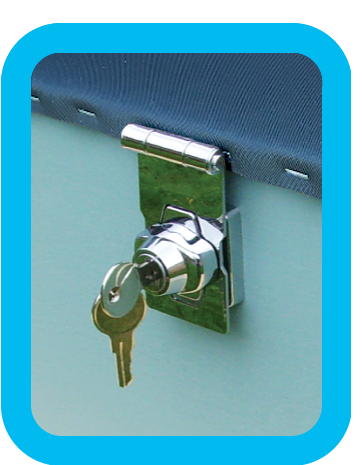 The optional lock offers protection against larger animals (foxes, etc) and also deters theft. The genuinely high quality lock is supplied with two keys. This has a separate shelf for empties which allows your delivery person to place milk bottles into your Milksafe in one action. Thermal jacket – a high technology liner equal to 50mm thick polystyrene, that’s easily removed to wipe clean. **To price your very own Milksafe please use our online form to make your selections then add a Milksafe to your online basket.